While Schumacher has had their share of designer collections in recent years, their most recent collaboration harkens back to their illustrious history of pairings with the likes of Paul Poiret and Elsa Schiaparelli. 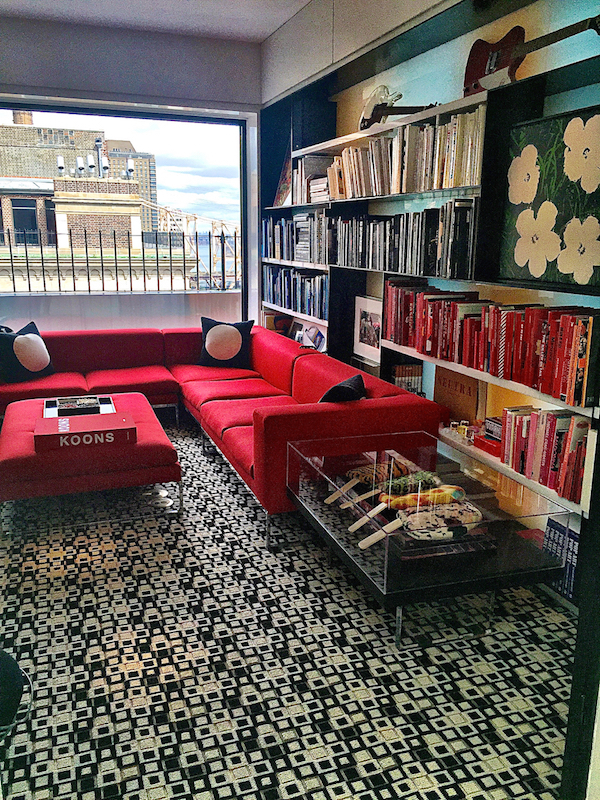 When Dara Caponigro joined Schumacher as Creative Director in 2013, I thought it the perfect opportunity for the distinguished fabric house to branch out a bit more into lifestyle. Clearly fashion designer Lisa Perry thought so as well. Her connection with Caponigro goes back to Domino days when Dara featured Lisa’s Hamptons house in September 2007, following the launch of the designer’s eponymous label. After a renovation, Dara, then at the helm of Veranda, published the updated version. Fast forward to last August when T magazine ran a piece about Dara’s appointment at Schumacher and a lightbulb went off for Lisa. She approached them about partnering on a fashion collection, original sketches above, and as Dara said, “We couldn’t have been more thrilled. Schumacher has had a rich history of collaborating with some of the best names out there. 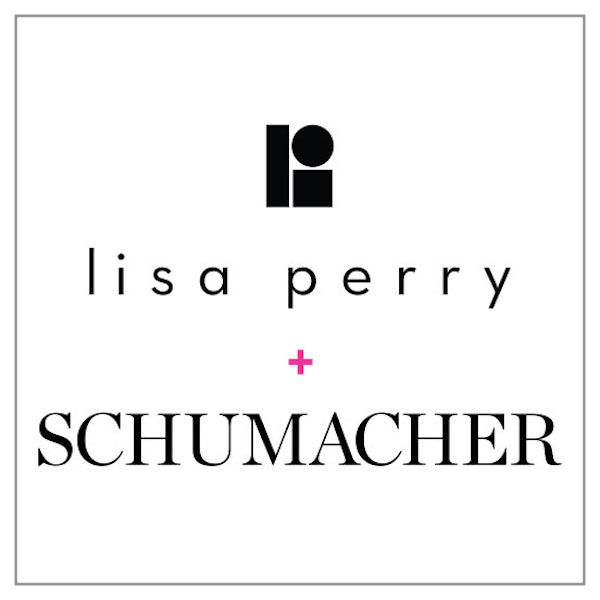 As Creative Director, one of my tasks is to bring Schumacher back to its roots as the premier home fashion brand. We’ve always had an eye for the cutting edge and a respect for classicism and this new partnership speaks to just that. There is nothing extraneous about Lisa’s designs; they are at once thoroughly modern and thoroughly elegant and completely right for today”. 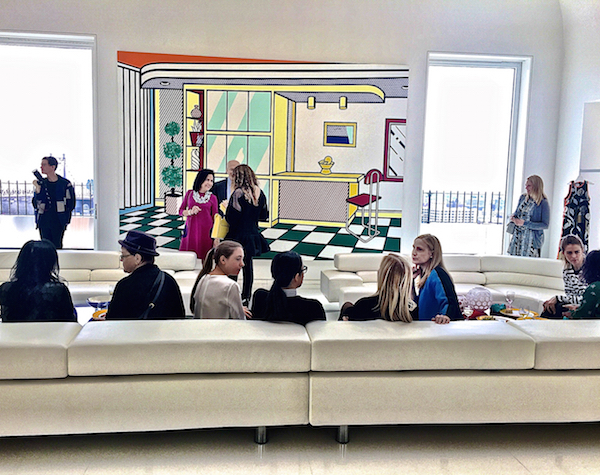 On Tuesday, I attended a luncheon at Lisa’s spectacular Sutton Place penthouse to view the collaboration. The thirteen piece capsule collection includes eveningwear, dresses and separates in some of Schumacher’s most iconic patterns fashioned in Lisa’s signature 60’s-inspired shapes. The citrus silk Le Cristal de Luxe looks regal embellished with the beautiful Callas and Maria bejewelled trims above and in another version below from the official shoot in the apartment, below. And if it looks familiar, it might be because a pregnant Molly Simms glowed in an early version at the Golden Globes after party. 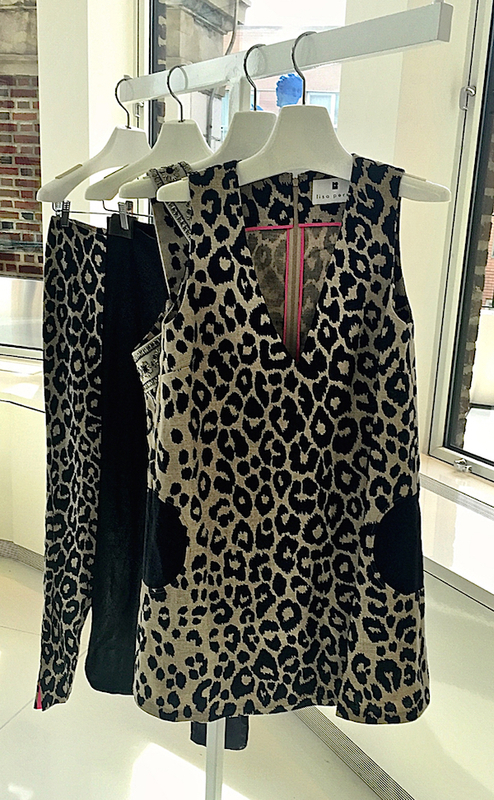 Lisa translated the timeless appeal of animal print with the textural Serengeti, below, as a mod circle pocket tunic as well as long coat, both lined in a pop of neon pink. Iconic Leopard appears as the same tunic and pants. Below Jennifer Vaughn Miller of Vaughn Miller Studio coordinated perfectly with the graphic elegance of the Zebra Palm short sleeve gown. You get the full dramatic effect in the official shot below. The deco classic Les Gazelles Au Bois, designed in 1927 by Pierre Pozier, is modernized with Lisa’s bold use of brights. 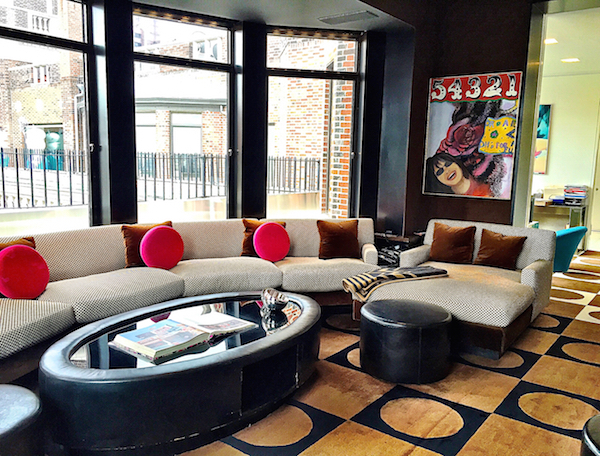 The Lisa Perry brand shows a love for color, graphics and artistic inspiration that is clearly consistent throughout the designer’s aesthetic. 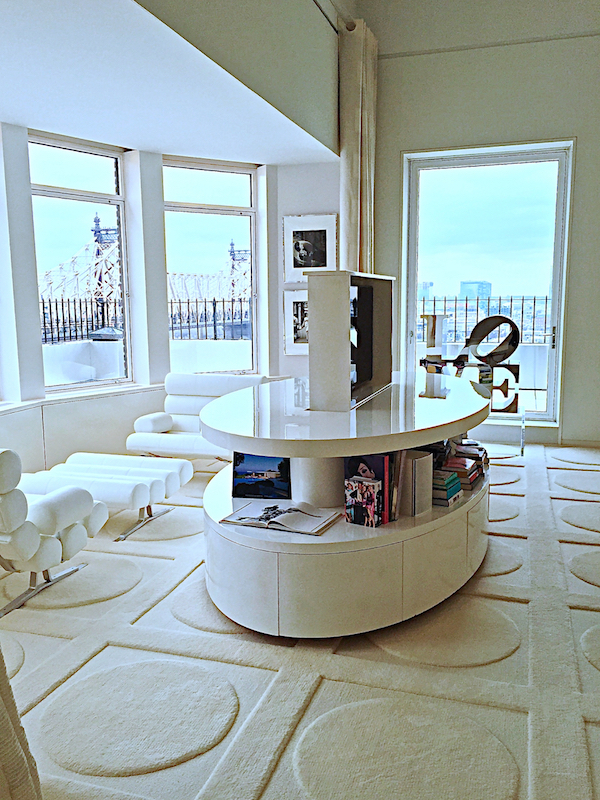 Her art filled apartment reflects the minimalistic clean lines of the 1960s, enhanced by the Perry’s impressive collection. We were all thrilled to be able to take a peek. 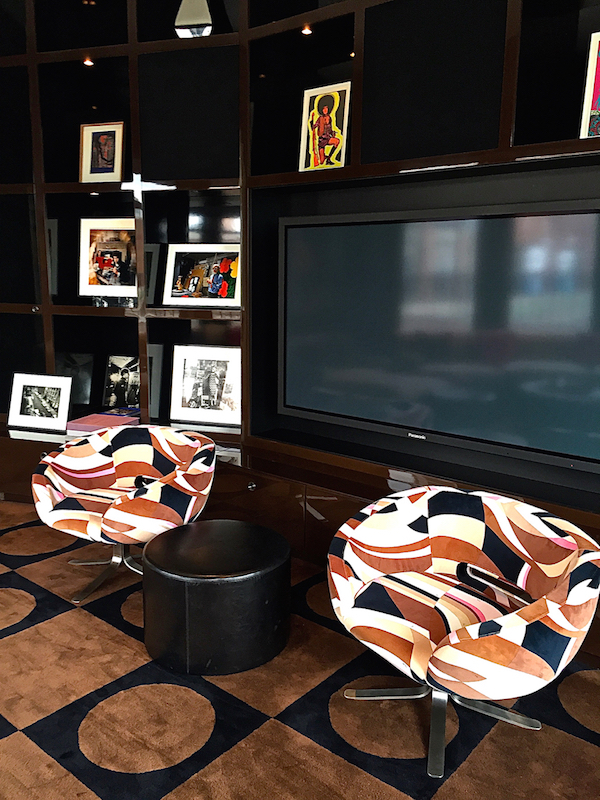 With spectacular wrap around views, the living room is brimming with light punctuated by the graphic pop of the large Lichtenstein. Geometry and clean lines go bold in the study. 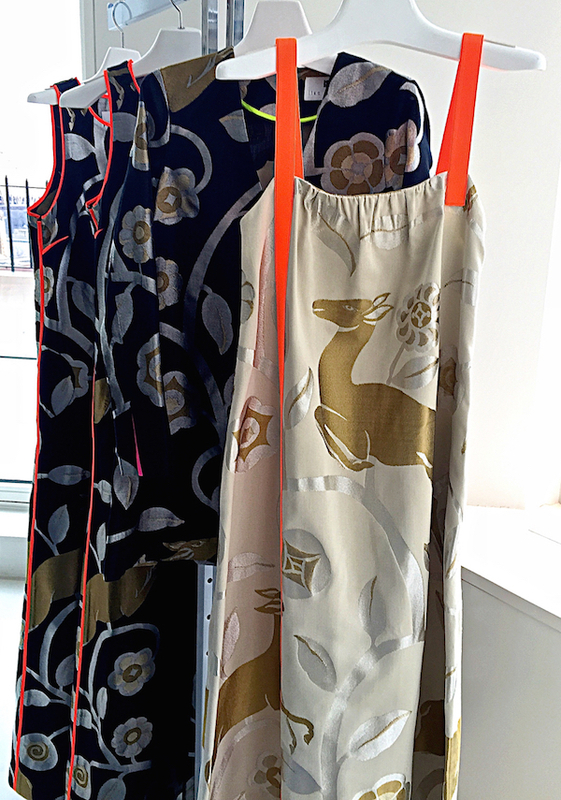 while Pucci patterns enliven the mix. 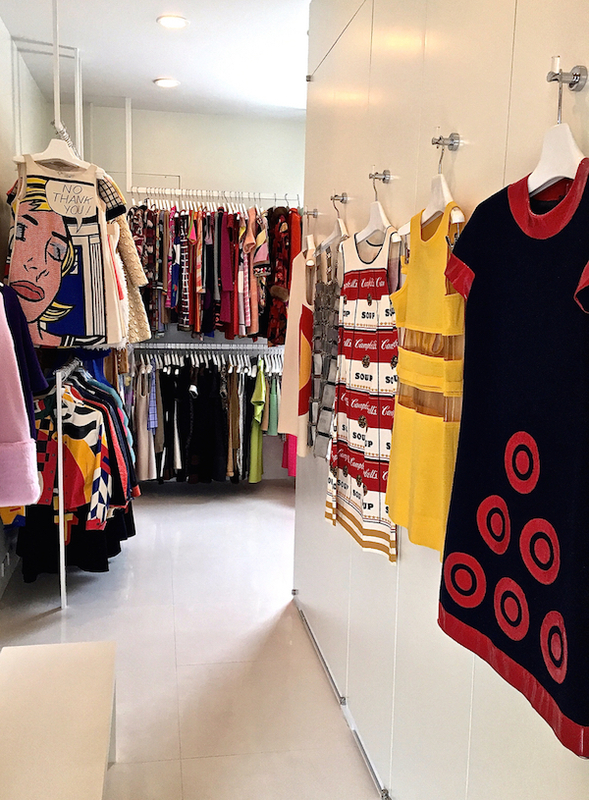 Lisa’s great love of vintage couture shows in her closet. 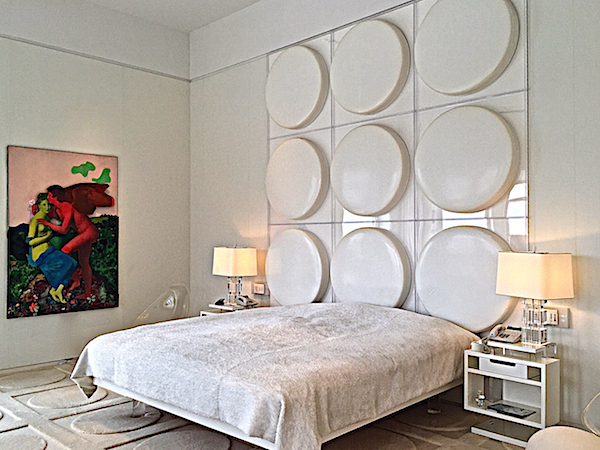 But her bedroom is an ode to the purity of white. 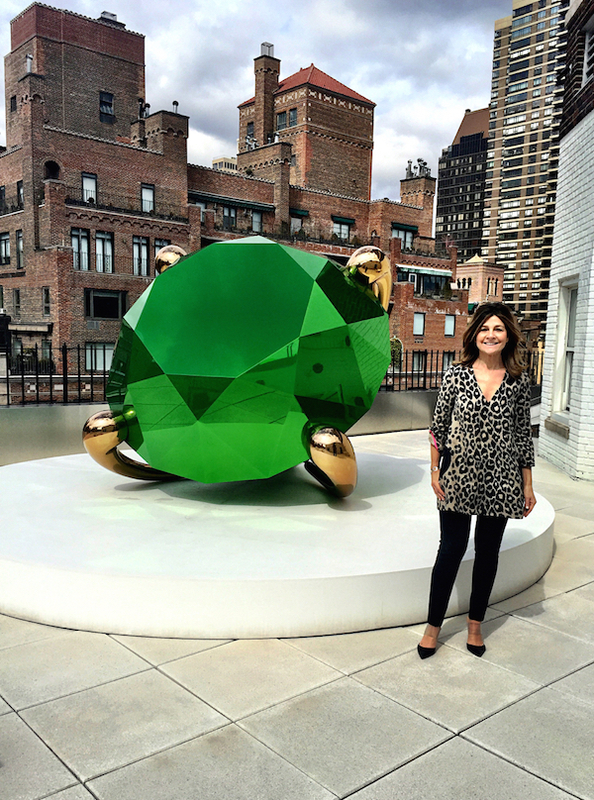 On the enormous wrap-around terrace Lisa shares the scale and dazzling brilliance of Jeff Koons’ Ring. 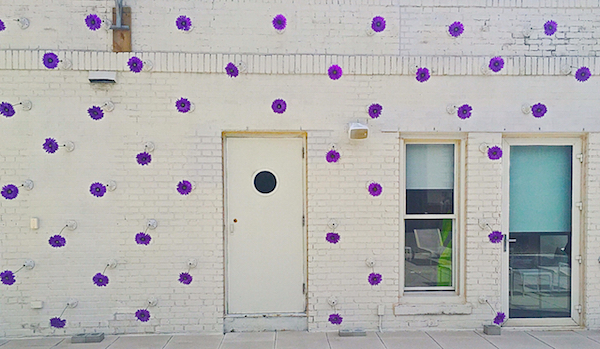 And against the wall is Lisa’s version of a city garden. 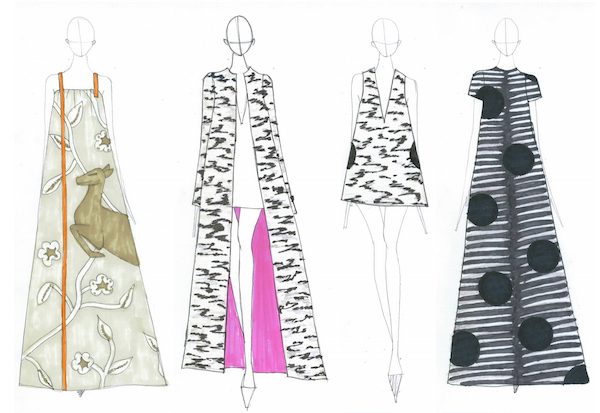 Lisa Perry has a singular honed vision that is consistent throughout her brand and in this collaborative collection, which is available at the Lisa Perry Madison Avenue boutique, on her website (soon) and at Barneys New York, in Beverly Hills and online. 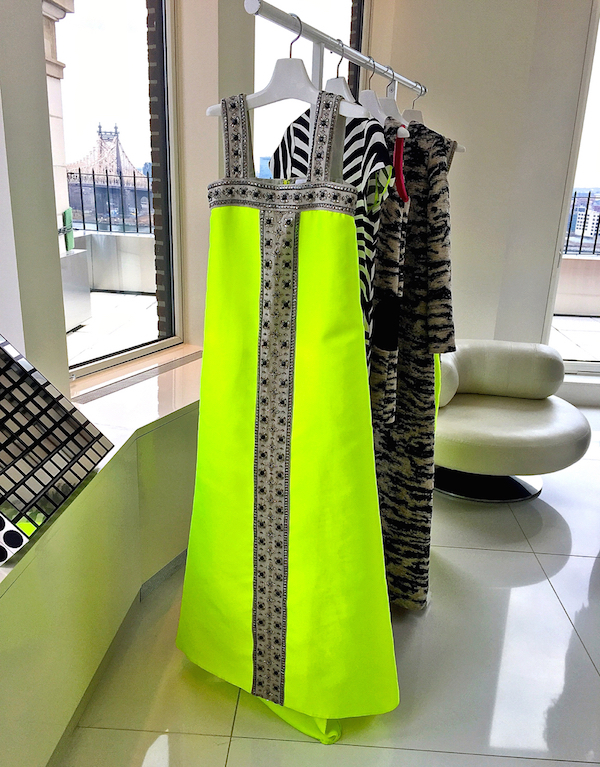 A portion of the proceeds of the collection sales will go to The Museum at the Fashion Institute of Technology, Lisa’s alma mater, where she studied textiles and color theory as well as fashion and art. In support of the presentation, it was a pleasure to see FIT President Dr. Joyce F. Brown and Museum Director and chief curator Valerie Steele. Kudos to Lisa, Dara and Schumacher for this creative collaboration! 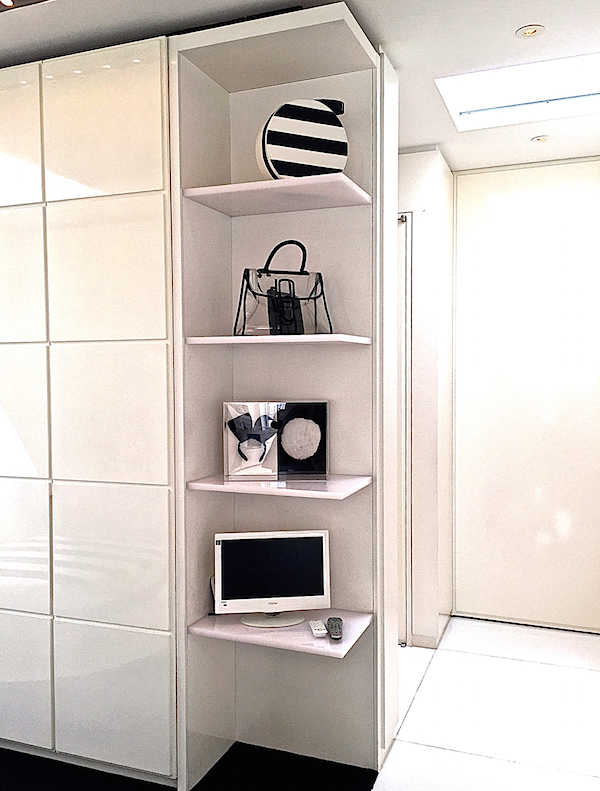 This entry posted in fashion, interior design. Entry Tags: Designer fabrics, fashion, interior design, Lisa Perry, Schumacher Bookmark the permalink. 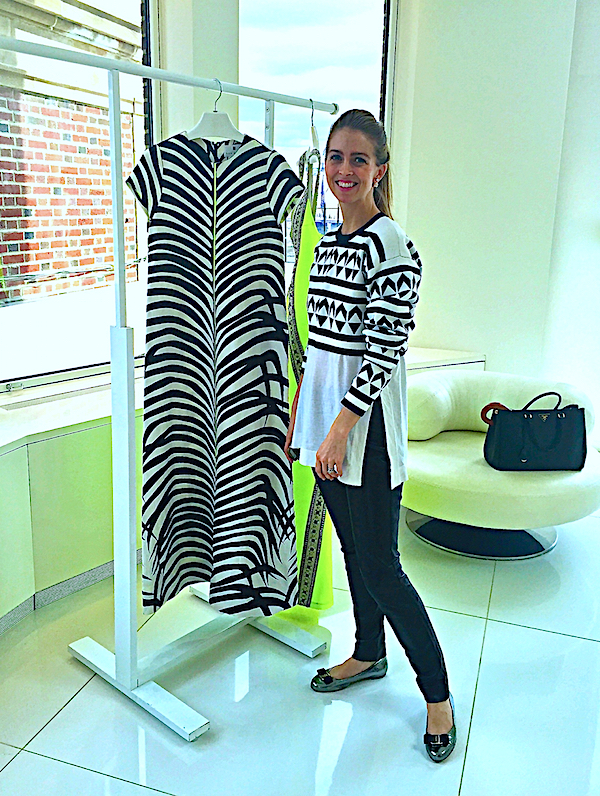 That Zebra Palm gown !!! Stacey what a fabulous collection! Fun, bright, and perfection for spring and summer events! Wow! The pieces are fabulous! Such a fun look into an incredibly creative mind! 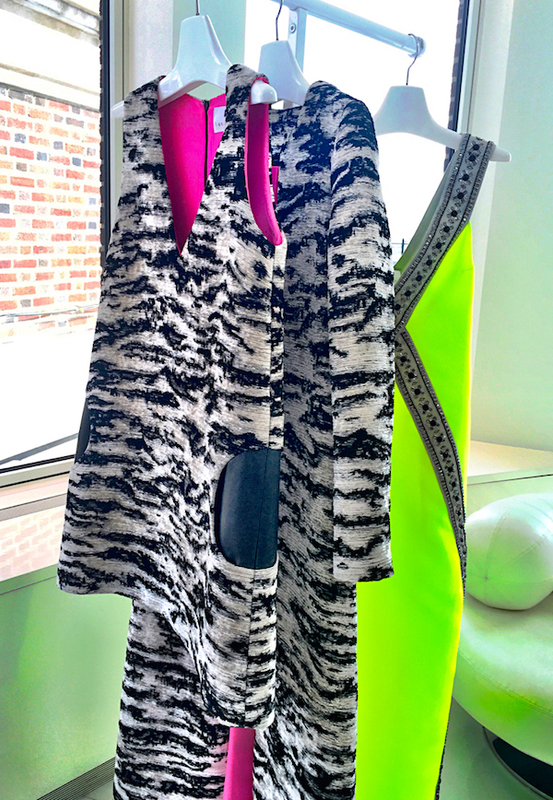 Her collection has so many great pops of color and the I love the zebra print for Spring & Summer! 81 queries in 0.480 seconds.